Look here: 1. 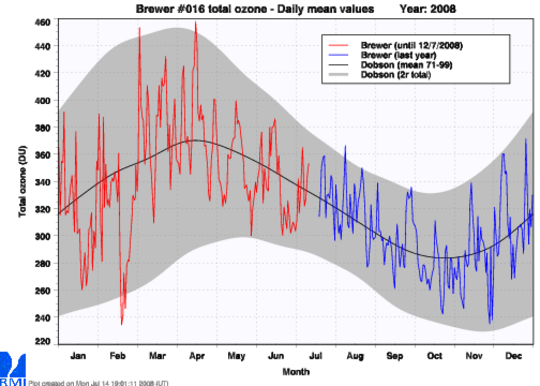 Intercomparison between the ozone measurements of the Microtops II and those made by the Brewer instrument at the RMI at Uccle and several satellites over the last 8 years. 2. 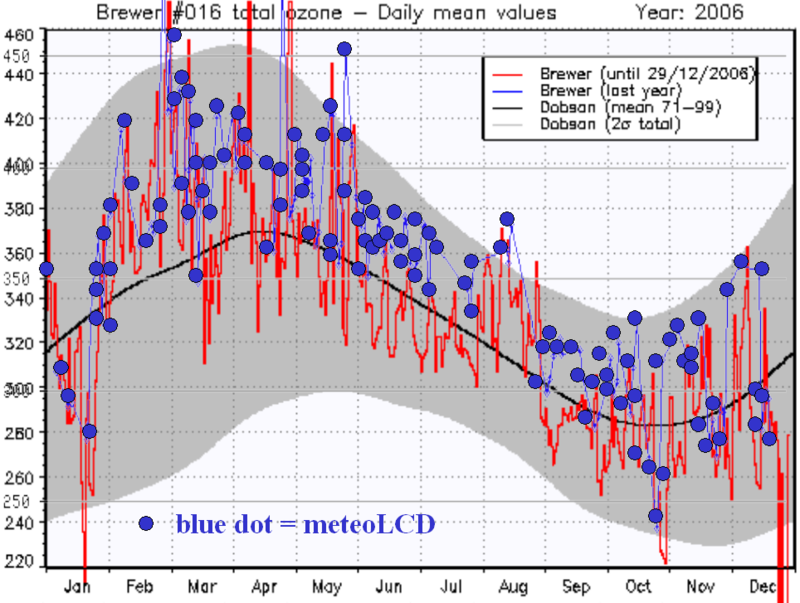 Very raw overplot of 2006 Uccle and meteoLCD total ozone measurements. altitude = 218 m a.s.l. click to enlarge!